Bela Lugosi was neither the first nor the last actor to play the role of Dracula on stage during his lifetime. When Hamilton Deane’s original adaptation opened at the Grand Theatre in Derby on May 15, 1924, Count Dracula was portrayed by Edmund Blake. When the play opened at the Little Theatre in the West End three years later on February 14, 1927, Raymond Huntley donned the Count’s cape. Hamilton Deane himself was among the other British actors who followed in the role. When John L. Balderstone adapted Dracula for the American stage, Raymond Huntley was producer Horace Liveright’s first choice for the title role. After the actor held out for more money, Bela Lugosi was offered the part and a legend was born. Huntley would later reprise his role in America in touring productions. As in England, other actors, both professional and amateur, followed. Follow the links below for details of actors who portrayed Count Dracula during Bela Lugosi’s lifetime on the English, American and Australian stages. These pages represent an incomplete list of the actors who portrayed Count Dracula and their performances. They will be added to as more details are uncovered. I am deeply indebted to my fellow researcher Andy Struthers who has generously shared his research into Dracula on the stage. He has been instrumental in uncovering previously unpublished information about Edmund Blake which has both expanded our knowledge of this actor’s role in the history of Dracula on the stage and corrected long-held and widespread inaccuracies. Andy and I are grateful to Craig Sherwood of Warrington Museum & Art Gallery (Culture Warrington), Zena Hawley of the Derby Telegraph, and John Eastwood, the great-grandson of Edmund Blake, for their assistance in our research. Great stuff. I am going thru my own archive, and have some of the UK programmes with other dates, a couple of Pymm and Huntley programs or folded sheets, as well as Lugosi. I have had two orange and black one sided reduced admission ticket coupons–allowing half price on all seats, for the Davidson Theatre, and you helped me finally ID the year. Thank you! This was very helpful with a grad studies project in publishing. I am surprised how little info exists out there on the various stage productions of Dracula. Thanks for a great page. I happy to hear that the information was helpful. It is odd that so little has been compiled on the various productions. Piecing the history together is laborious, and at times very frustrating, but slowly (oh so slowly) more is coming to light. Researcher Andy Struthers and John Eastwood, the great-grandson of Edmund Blake, have been very helpful. Have you seen this page https://beladraculalugosi.wordpress.com/bela-lugosi-on-the-on-stage/? 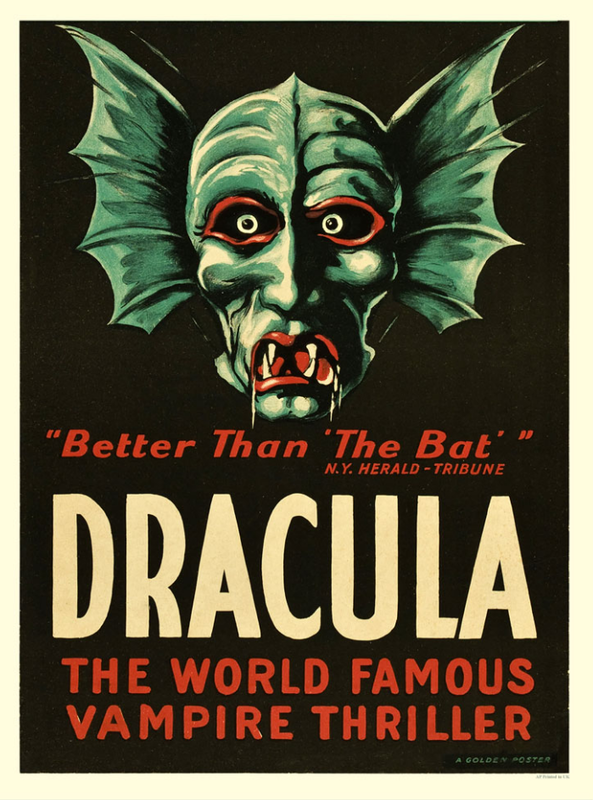 It contains information on all of Bela Lugosi’s known performances as Dracula.